Pages: pp. xiv + 222, Indices, Biblio. 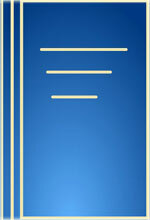 The Title "The Aesthetics of Wonder New Findings in Sanskrit Alankarasastra 1st Edition" is written by A.V. Subramanian. This book was published in the year 1988. The ISBN number 8120804449|9788120804449 is assigned to the Hardback version of this title. The book displayed here is a 1st Edition edition. This book has total of pp. xiv + 222 (Pages). The publisher of this title is Motilal Banarsidass Publishers Pvt. Ltd.. We have about 3688 other great books from this publisher. The Aesthetics of Wonder New Findings in Sanskrit Alankarasastra 1st Edition is currently Available with us.